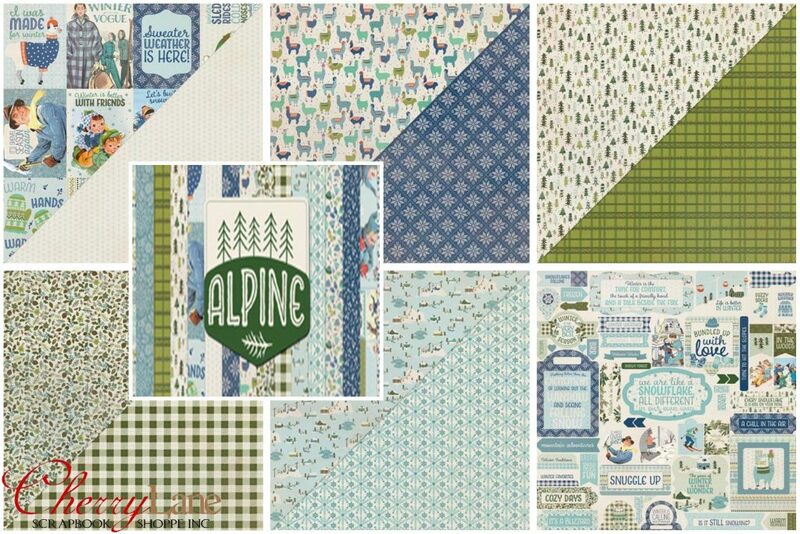 Authentique’s NEW ‘Alpine’ collection is in the shoppe now! This line is sure to warm your heart! We love the sweater patterns and the unexpected fun of the llamas wearing hats & coats! It’s perfect for your winter memories, no matter where you live! We received the full release and it has been selling like mad already, come in to see it all up close and get yours today! Watch our box opening video here, or click here to see the full range on Authentique’s website. Up next, Frosty Winter and Jolly Christmas. We received the collection kits only of these two lines. Each contains a 12×12 sticker and two each of the 12×12 patterned papers. Just the right amount to whip off a few pages or a project! Come get ’em, they won’t last long! Hello, I was in contact with Samantha at Authentique and she suggested I contact you. I am looking for the Alpine Cardstock to match the Paper Collection. I see you have the Paper collection, would you happen to have the cardstock or could you obtain same. I am waiting to do a mini album but cannot find the paper anywhere except the states. The cardstock pack that this store has only includes on sheet of each and it costs 28.00 to ship to Canada. can you help me out? I look forward to hearing from you. Next Next post: NEW Tim Holtz Sizzix SideKicks are HERE!